Finally, we’re going to start enjoying some cooler weather, and just in time. I’ve wanted to start writing about the fantastic cool-season color, but I’ve had to wait until the summertime heat starts to cool. There are so many plants we can now enjoy all the way through spring. That is, if we don’t have another “Freezemageddon” like we had last January. I’ve done a little research into what we can expect this winter, and the experts aren’t agreeing. I consulted “The Old Farmer’s Almanac” and the “Farmer’s Almanac.” One predicted a mild winter, and the other predicted an extremely brutally cold season. Considering these long-running publications forecast the weather up to 18 months in the future, I’d say their accuracy is on par with our daily weather forecasts. As for me, I’m going to go with the mild winter prediction, and that means great color all winter. A couple of weeks ago, I had a gardening friend accuse me of being anti fall mum after reading my column on mari-mums. I put up a vigorous defense, proclaiming my fondness for colorful fall mums. I explained that we need a bit of diversity in choosing color palettes for our landscapes, but by no means should we ignore the popular fall mum. 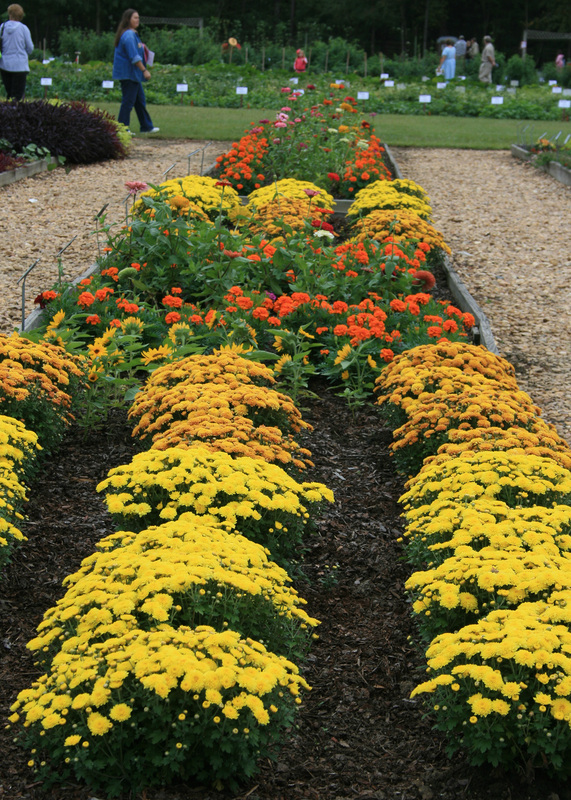 I consider the fall mum to be an extremely useful bridge crop between the hot summer and cooler fall. Fall mums can be treated as seasonal annuals to provide an easy and reliable display of color for the current in-between period. And what a gorgeous variety of colors we have to choose from! 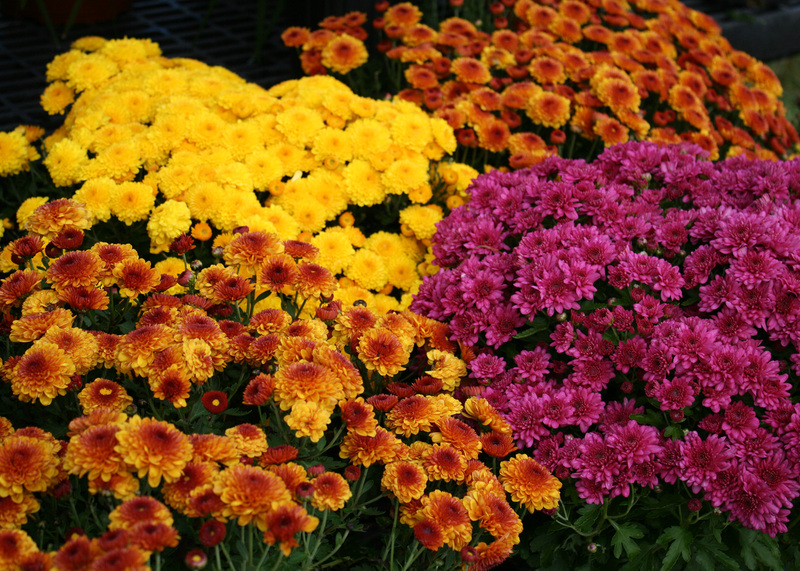 Mums come in a variety of container sizes available at your local garden center. It is easy to use the 4-inch pots for planting in a raised bed or to refresh a combination container that is tired from the long summer. For larger projects or as stand-alone specimens, pot sizes can be 10-gallon, 12-gallon or larger. Always check with your local garden center for size availability. Choosing fall mums in full flower has an instant impact for any autumn get together. I personally like to select plants that still have loads of tight buds with just a few peeking and starting to show color. This increases the period of showy display, as the buds begin to open in the garden. Place fall garden mums in a spot that receives full sun for the best flowering. A word of caution for caring for your mums in containers: Never let the containers dry out. As soon as the plants begin to be water-stressed, the current colors will diminish, and the plants are slow to recover. 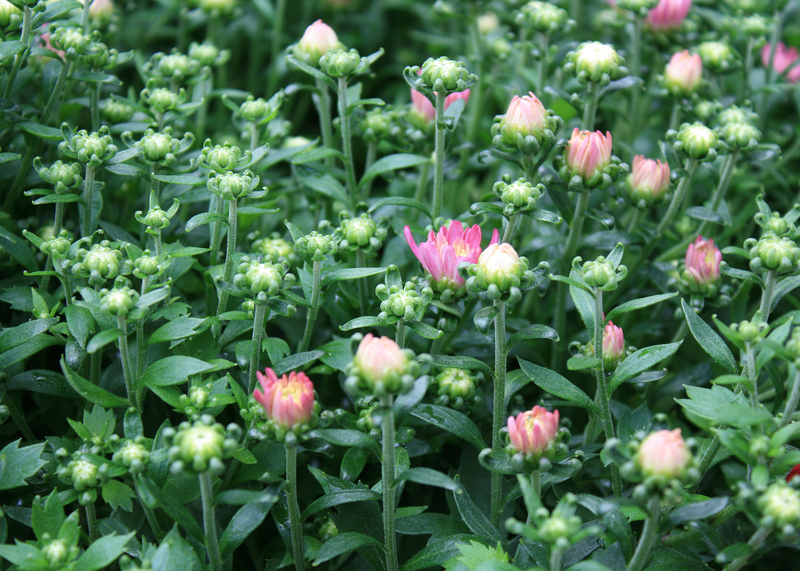 I don’t recommend watering mums from the top, as it can set up conditions for fungal growth. Of course, there’s nothing you can do if the mums get rained on, but let’s not add any potential problems. I like to direct water to the base of the plant, which keeps the leaves dry and looking good. You can also plant fall mums in the ground to enjoy them there. My wife found a really pretty white and yellow mum that we grew for several years in our front landscape. It was a reliable performer, blooming each fall. And if I remember correctly, it bloomed one spring after a mild winter. Unfortunately, it did not survive this summer’s inferno, but it has already been replaced. 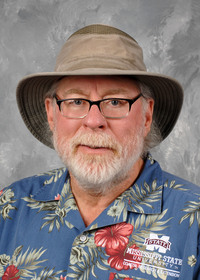 If you get a chance, come out and see me at the Fall Flower and Garden Fest in Crystal Springs at the MSU Truck Crops Branch Experiment Station Oct. 12-13. There will be lots to do and to learn, and there will be fall mums for sale.